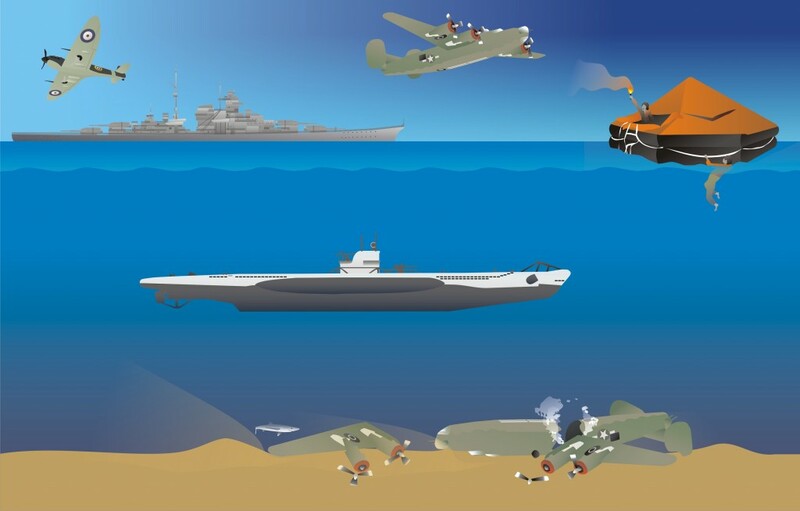 This webpage contains resources, activities and suggestions to complement the teaching of a case study on marine research aimed at Key Stage 3, focusing on World War Two. You can visit the Using our teaching resources webpage to find out what is on offer. 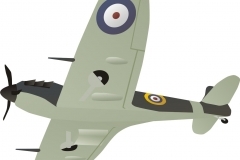 What can the seafloor tell us about World War Two? This case study explores the methods archaeologists used to create maps showing the location of ship and aicraft wrecks on on the seafloor. These maps will inform marine planning, allowing us to use the sea sustainably without damaging our underwater heritage. The case study supports the curriculum by providing a real-life application of history in the workplace. We examine how archaeologists research and collect evidence on the seafloor to build up a picture of Britain’s past. In particularly we will look at World War Two and evidence for aicraft wrecks on the seafloor. We recommend starting with the teacher pack, which has all the background information you need to understand this case study. Click on the link and then scroll back down to view images from the lesson image bank. Images from our History Case Study for KS3: What can the seafloor tell us about World War Two? What did you find on the seafloor?